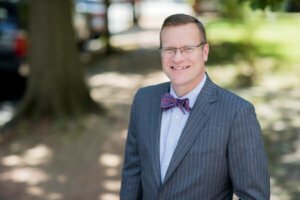 Tim Rayne is a Kennett Square Car Accident Lawyer who helps car accident victims receive fair treatment from insurance companies. If you’ve been injured in a car accident, you may be entitled to monetary compensation for your injuries and losses (medical bills, lost wages, pain, and suffering). You may not need to hire a lawyer, but you should get advice from an Experienced Pennsylvania Personal Injury Lawyer as soon as possible after the accident. Tim Rayne focuses his entire law practice in Personal Injury Law and has been helping people who have been injured in car accidents receive fair treatment and compensation from insurance companies for over 20 years. Tim has been consistently named a Top 100 Attorney in Pennsylvania by Super Lawyers and has an AV Preeminent Rating from Martindale-Hubbell, the highest possible rating for legal ability and ethics. Tim also has the highest available 10.0 Superb Rating with AVVO, an independent Lawyer Rating Site. In 2017, Tim was honored with a listing in Best Lawyers in the field of Personal Injury Law. Thousands of people are injured or killed each year in Pennsylvania car accidents. The harm resulting from car accidents includes whiplash; soft tissue injuries; neck and back injuries; broken bones; fractures; spinal cord injuries; traumatic brain injuries; concussions; paraplegia; quadriplegia; or even wrongful death. Victims of car accidents have common questions: Should I call the police? Should I talk to the insurance adjuster? Who will pay to fix my car? Who will pay my medical bills? What happens if I can’t work and lose income? How do I get the other driver to accept responsibility and pay for my losses? Do I need to hire a lawyer to represent me and how much will it cost? Tim Rayne offers Free Consultations at his offices in Kennett Square or West Chester, Pennsylvania, or will travel to your home or any other convenient location. 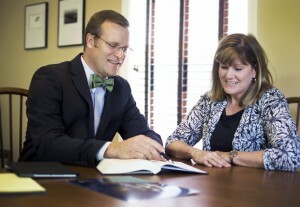 There will be no obligation to hire Tim to represent you for your car accident case. He will answer all of your questions free-of-charge. If you decide to hire Tim and he accepts your case, Tim works on a Contingent Fee basis, meaning that there are no attorney fees charged unless he recovers compensation for you. If Tim wins compensation for you, his fee is a percentage of your compensation paid by the insurance company. Tim Rayne represents clients in many types of car accidents: rear-end collisions, head-on collision, T-bone collisions, tractor-trailer accidents, distracted driving accidents caused by cell phone users or texting while driving, drunk driving accidents, garbage truck accidents, bus accidents, commercial vehicle accidents, highway accidents, and Uninsured and Underinsured Motorist Claims. Tim Rayne helps car accident victims in Chester County, Delaware County, Montgomery County, Bucks County, Berks County, Lancaster County, and Philadelphia and regularly assists people in West Chester, Kennett Square, Southern Chester County, Unionville, Avondale, Toughkenamon, West Grove, Jennersville, Landenberg and Oxford. 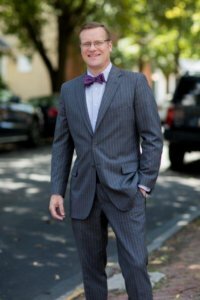 You can learn more about Kennett Square Car Accident Lawyer Tim Rayne and read Client Testimonials on AVVO, an independent Lawyer Rating site on which Tim has the highest available 10.0 Superb Rating. Bonus Tip Never talk to the adjuster for the other driver’s insurance company and never give a recorded statement. What Compensation Are You Entitled to After a Pennsylvania Car Accident? Check out Tim’ Profile and Client Testimonials on AVVO where Tim has a 10.0 Superb Rating.